The big news on the Arkansas State Normal School (now the University of Central Arkansas – UCA) campus during May 1918, centered around the Normal Farm, the Normal service flag in the great war (later known as World War I) and the Normal graduation exercises. The production of Nobleman’s dam in milk alone was slightly in excess of 30 pounds of milk per day. The two heifers were La Gros Queen and Maidie’s Dame Fussy. Both heifers came from cows that were big milk producers. The dam of La Gros Queen produced 400 pounds of butter in one year and the granddam of Maide’s Dame Fussy produced 19 pounds of butter in a seven-day period. All three newly-acquired Jerseys were thought to have the potential to make the Normal Farm herd into one of the best milk producing herds in the State of Arkansas, according to Normal Professor of Agriculture, Keith Holloway. The animals came from a breeder in Hannibal, Missouri. The flag was made by the Normal Home Economics Department. The 98 stars represented the number of known Normal alumni serving in the U.S. Armed Forces. It was noted that many stars would need to be added when more information could be obtained about all alumni who were serving in uniform. In the same May 23rd edition, an article was published about the Arkansas State Normal School graduation ceremony. 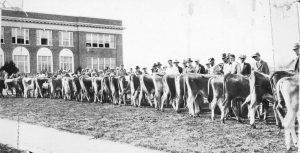 The 1918 graduation festivities were somewhat more lengthy and included more events than the UCA graduation ceremony of 2018. In the 1918 graduation ceremony there were several programs over a period of five-days that were observed prior to the commencement program. The first was a baccalaureate ceremony that was held on a Sunday at the First Methodist Church. The sermon was given by the Rev. Hubert S. Lyle, president of Cumberland College at Clarksville. The program for the baccalaureate ceremony included an organ voluntary by Miss Myrtle Greeson, followed by the processional. The soon to be graduates sang “America the Beautiful.” After the sermon the entire congregation sang “The Star Spangled Banner” followed by the benediction which was given by Dr. J.H. Reynolds, president of Hendrix College. The next day there were two pre-commencement events. The senior class presented the annual senior play at the Grand Theatre in Conway. The play was “Wobbles” which dealt with England during the war in which they were at that time fighting. The second event was an exhibit in the first building on campus of work that was done by the Home Economics, Manual Training and Art Departments of the school. The next day there was a piano recital by students of Miss Dorothy Pyle. On the following day there was a class day program given by Normal Students. 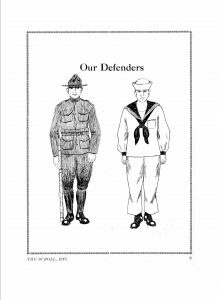 At this time the author does not know what activities took place during the class day program, but will look into the matter. Immediately following the class day program was a literary society rally that was held by all literary societies in the Normal Auditorium. The final event of the five-day period of festivities was the graduation ceremony, that was held on a Thursday morning at 10:30. The former president of the Normal, J. J. Doyne, was the speaker, and the diplomas were presented by the chairman of the Board of Trustees and State Superintendent of Public Instruction, J.L. Bond. The president of Central College, Dr. J.W. Conger, delivered the invocation. 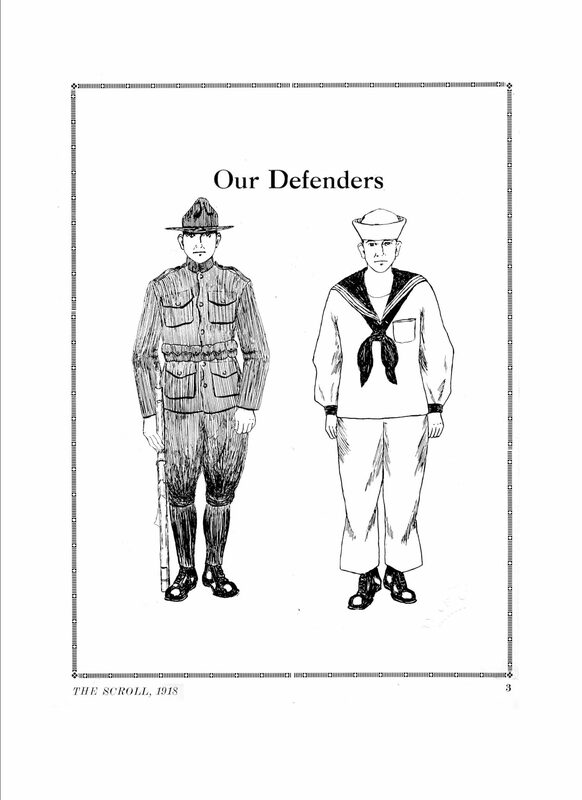 Due to America’s involvement in the war the songs that were sung were patriotic. The Normal Chorus sang “Honor and Love for the Soldier” and “Union and Liberty.” The congregation sang “The Star Spangled Banner” which was followed by the benediction. 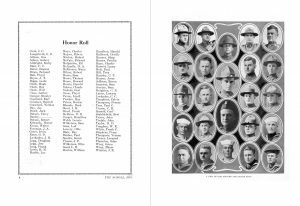 Due to the great war in which many Normal alumni were fighting, only six of the 33 members of the 1918 graduating class were men. 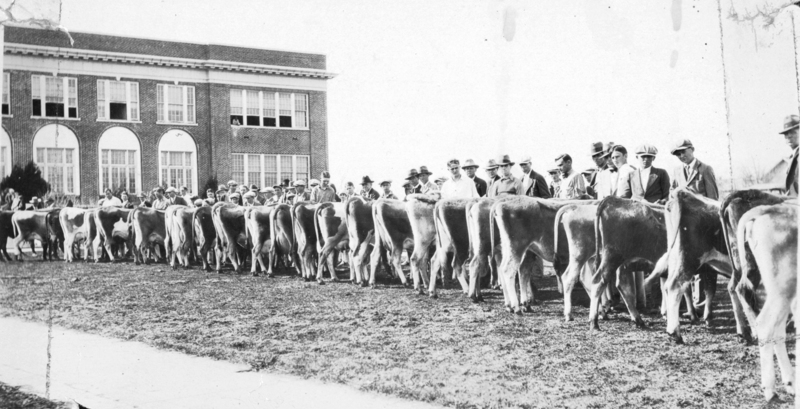 The photograph of the livestock in front of Old Main is Courtesy of Dr. Linda Beene, circa 1925. 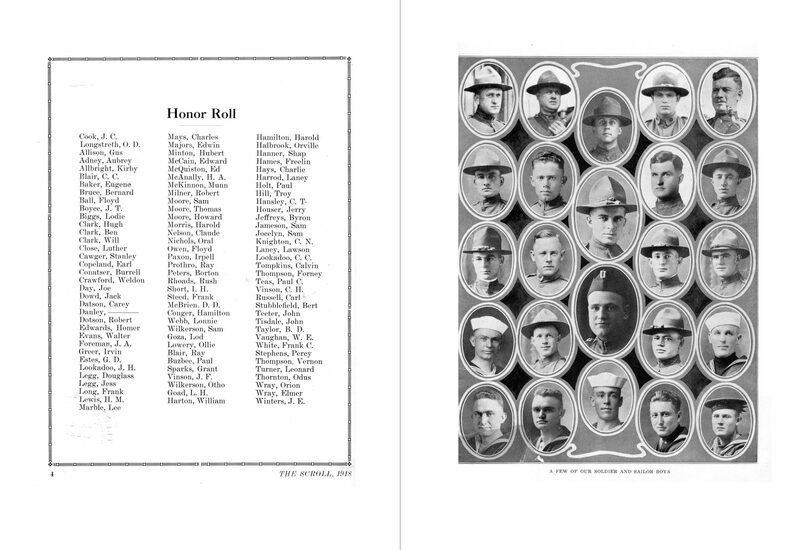 The other photographs of Arkansas State Normal School alumni in uniform are Courtesy of the 1918 Scroll.